Bling it up with this Batman Sequin Cuff Beanie. 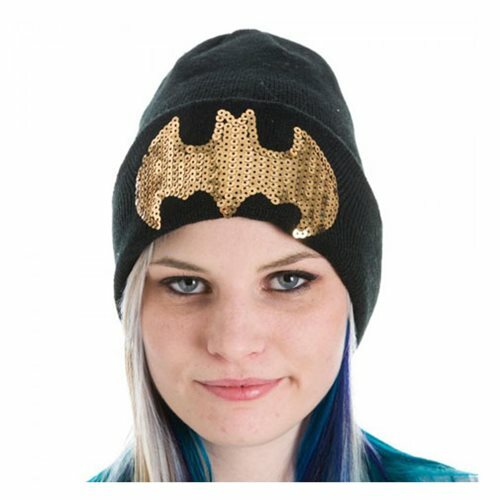 This black beanie gets glitzy with gold sequins shaped in the Bat's logo. Grab your today before they're gone! One size fits most and made from 100% acrylic.